As part of its extensive education and outreach activities, Europe's Graphene Flagship will soon stage a second Graphene Study week. This will take place from 23-28 March 2015 in Kaprun, Austria. 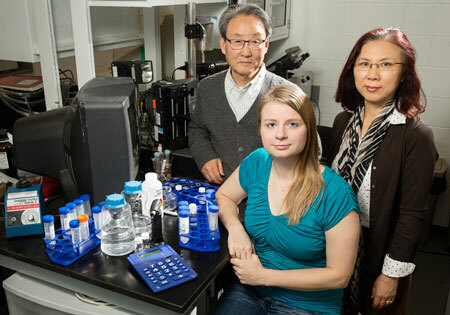 A new study reveals that certain features of metal surfaces can stop the process of oxidation in its tracks. The findings could be relevant to understanding and perhaps controlling oxidation in a wide range of materials. Scientists have developed an extremely sensitive yet simple motion detector that can be built easily by adapting already-existent technology. The system has proven accurate with detecting bacteria, yeast, and even cancer cells, and is considered for the rapid testing of drugs and even the detection of extraterrestrial life. In a pioneering study, researchers were able to discover half-light, half-matter particles in atomically thin semiconductors consisting of two-dimensional layer of molybdenum and sulfur atoms arranged similar to graphene. Precisely placing imperfections called 'nitrogen vacancy centers' within nano-sized diamond structures can boost their fluorescence, a key step toward using the defects in future quantum computers. Gelatin is used in the pharmaceutical industry to encapsulate active agents. It protects against oxidation and overly quick release. 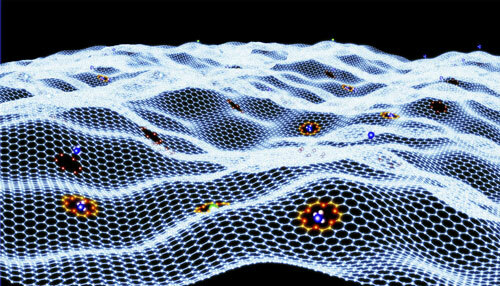 Nanopores in the material have a significant influence on this, yet they are difficult to investigate. 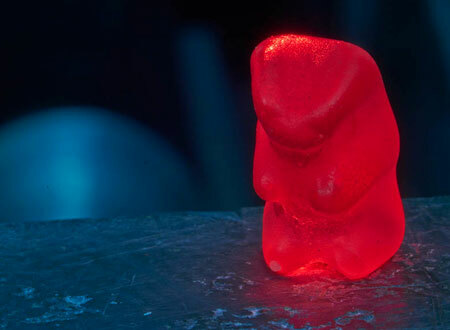 In experiments on gummy bears, researchers have now transferred a methodology to determine the free volume of gelatin preparations. 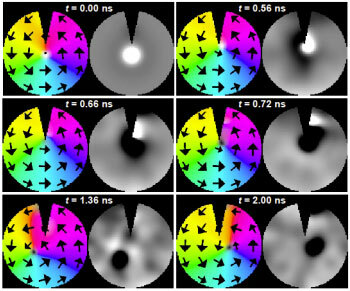 Magnetic vortices in thin films can encode information in the perpendicular magnetization pointing up or down relative to the vortex core. These binary states could be useful for non-volatile data storage devices such as RAM memories, but the switching between them must be fast and energy-efficient. Integrating quantum light sources e.g. single quantum dot / single atom, into specially designed nanofibers holds the potential to revolutionize distributed quantum networks for secure, ultra-high speed communication. Stroke victims could have more time to seek treatment that could reduce harmful effects on the brain, thanks to tiny blobs of gelatin that could deliver the medication to the brain noninvasively. In certain materials where the electrons are constrained in a quasi one-dimensional world, they appear to split into a magnet and an electrical charge, which can move freely and independently of each other. A longstanding question has been whether or not similar phenomenon can happen in more than one dimension. Researchers have uncovered new evidence showing that this can happen in quasi two-dimensional magnetic materials. 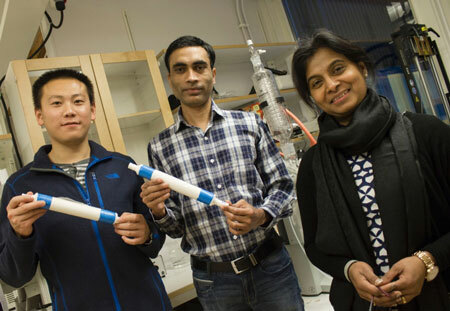 Researchers have developed prototypes of nano-cellulose based filters with high purification capacity towards environmentally hazardous contaminants from industrial effluents eg. process industries. When it comes to engineering single-layer atomic structures, 'minding the gap' will help researchers create artificial electronic materials one atomic layer at a time, according to a team of materials scientists. 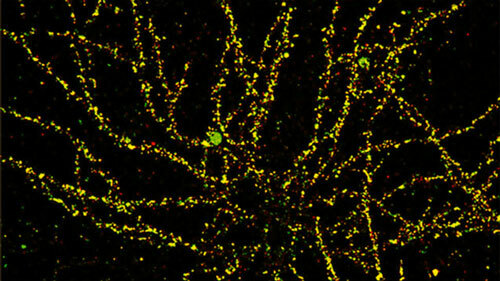 Discovery holds potential for separations, sensors, batteries, biotech and more. 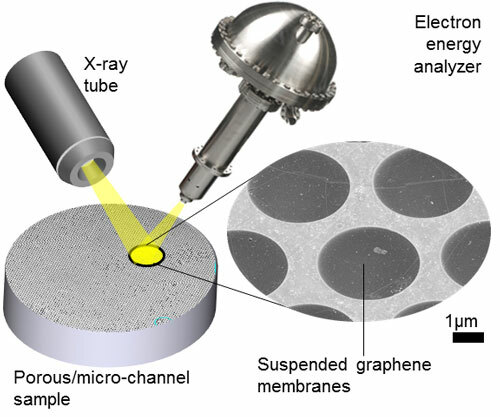 Researchers have found that graphene could make using X-ray photoelectron spectroscopy to study materials in these environments much less expensive and complicated than the conventional approach.